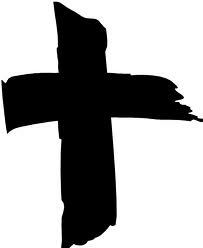 Ash Wednesday services will be held at 9.30am and 8pm at St George’s. Both services will use the liturgy for Ash Wednesday and offer ashing for anyone who wishes. The 9.30 service will be preceded by the usual Stay & Play cafe in the Large Meeting Room. All are welcome to come for refreshments from 9am. Please note that on this occasion we will not be using the usual Stay & Play format, but children are still very welcome, and the usual toys, colouring and fruit will be available during the service. Older children on half term holiday are most welcome too, we will have some Ash Wednesday themed activity sheets available in the children’s corner. If you have a palm cross at home from last year, please put it in basket the back of the church in advance of Ash Wednesday.